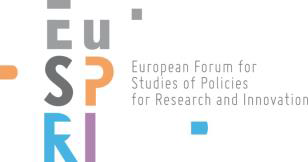 The Call for Papers for the Eu-SPRI Annual Conference is still open until 13 February 2017. The conference with the title “The Future of STI – The Future of STI Policy”. The conference is organised by the Center for Innovation Systems & Policy of AIT Austrian Institute of Technology and takes place on 7-9 June 2017, in Vienna, Austria. In the 2017 conference we want to pay special attention to changing practices and patterns of science, technology development and innovation (STI). Not least because of the influence of ICT-enabled novel methods, new ways of doing research and innovation have been established over the past years, and will continue to do so in the next years. They will change the relationship between citizens and science, decision-makers and stakeholders and redraw the landscape of research and innovation actors. The value networks of existing industries will be transformed and the industrial landscape changed, with emerging economies expected to play a much more significant role than today. Furthermore, research will address questions of global significance, and multi-disciplinary communities are increasingly driven by the need to find solutions to such global issues and challenges. For STI policy research, these upcoming changes will undoubtedly bring about new requirements and challenges. Therefore, the conference also aims to trigger a debate about the future of the discipline(s) of STI policy research. 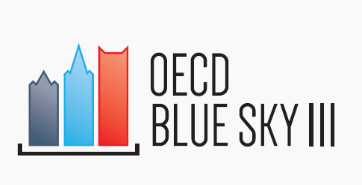 The call for papers for OECD Blue Sky Forum 2016, held in Ghent, Belgium on 19-21 September 2016, is now open until 14th of March 2016. This major OECD event, which takes place every ten years, will gather science, technology and innovation practitioners around a discussion on evidence gaps and data needs. Examples of data and indicator development with the potential for international adoption will be showcased, as well as examples of ground-breaking application of existing or new sources addressing questions and providing evidence on the state of science and innovation systems and the role of STI policies worldwide. The European Commission has established through DG Research & Innovation intense cooperation with the OECD’s Science, Technology and Innovation Directorate. This cooperation has resulted in the launch of the STI Policy Survey 2016, which this year and for the first time is a joint product by both institutions. In addition, comprehensive work on the incidence and impact of R&D tax incentives has been launched and an observatory for public sector innovation is being set up. In this context, the upcoming OECD Blue Sky Forum shall take the form of an unconstrained discussion on evidence gaps in science and innovation and on initiatives the international community can take to address data needs in this area. It will engage the policy community, data users and providers into an open dialogue to review and develop a long-term agenda on science, technology and innovation data and indicators. diffuse the call to all those who can help develop a forward-looking and policy-relevant agenda on STI measurement. Follow this link to find all background information and guidelines for the call for papers: http://www.oecd.org/science/blue-sky.htm.